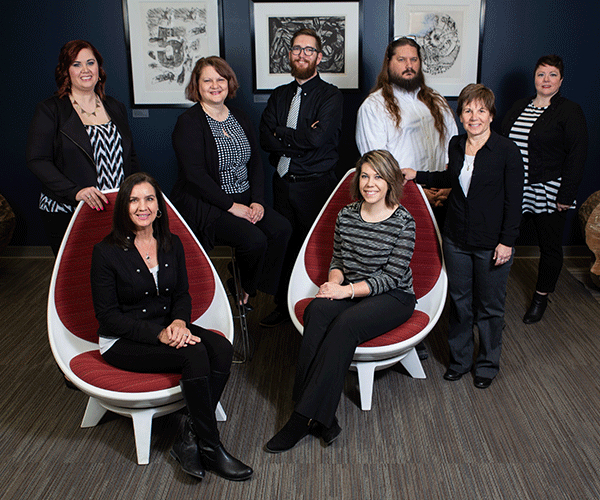 The Media and Marketing department provides a full range of advertising, public relations, and marketing services for all academic and administrative units on the IU Kokomo campus. We create effective communications and marketing strategies to support efforts such as student recruitment, community and alumni relations, and the academic mission of IU Kokomo. In addition, our office promotes the goals of the campus by striving to make the residents of our service area aware of IU Kokomo's identity as a convenient campus of Indiana University offering high quality education at a reasonable cost. We further strive to make the community aware of the cultural and economic development benefits that our campus offers to north central Indiana. We are available to assist members of the print and electronic media who are interested in news about IU Kokomo. Please contact Marie Lindskoog, director of media and marketing, for interviews and information. Our faculty and staff include many experts in areas of interest to the public, and we are happy to help you make contacts for media stories. You may also visit our newsroom here. The Media and Marketing team prides itself on great customer service within its own campus community. From digital signs, to news releases, to printed materials, to compelling photographs and videos, we are ready to make it happen! Email Marie Lindskoog for more information. Publications (advertisements, brochures, invitations, postcards, newsletters, annual reports, periodicals, etc.). Development of other marketing tools, including billboards, radio spots, Web communications, and social media.